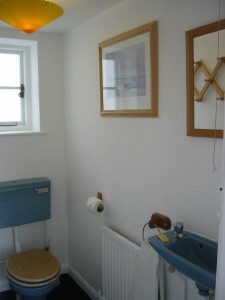 The cloakroom is opposite the front door, as you enter Beach Cottage. 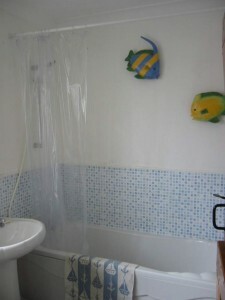 A small high window faces into the utility room, which houses the washing machine. The window has been frosted for privacy. Outside the cloakroom, by the front door, is another coat rack and a shelf for your welly boots.